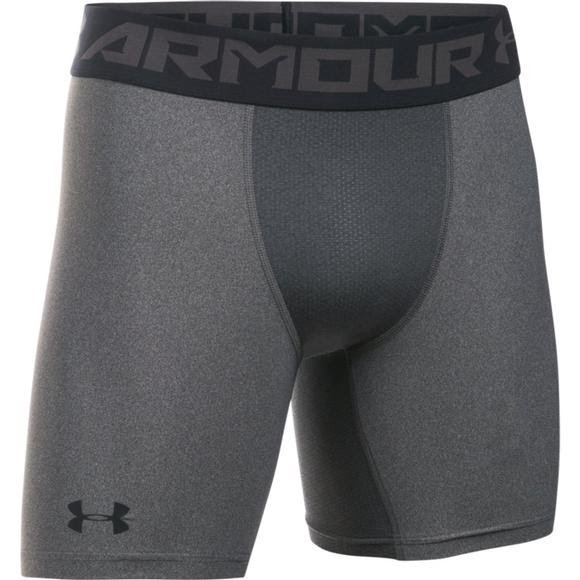 UnderArmour offers this supportive HeatGear compression short that moderates temperature and moisture, keeping athletes comfortable and cool for maximum performance. Wear this to feel cool, dry and light. The original innovation UnderArmour&apos;s founder dreamed up. This super-breathable fabric wicks sweat and regulates body temperature so you feel cooler, drier and lighter than ever.